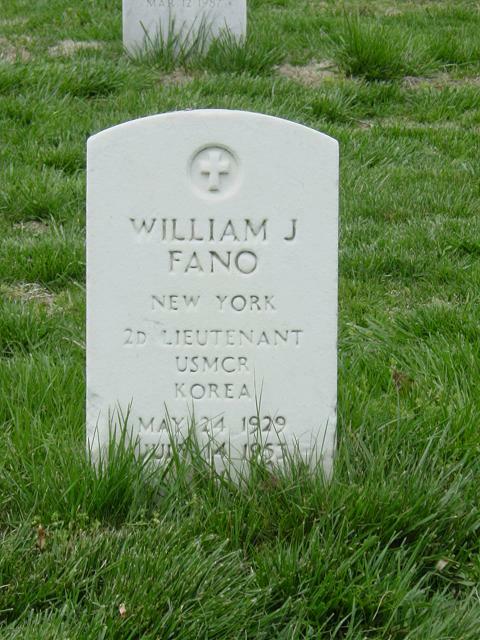 Second Lieutenant Fano was a member of Company H, 3rd Battalion, 7th Marines, 1st Marine Division. He was Killed in Action while fighting the enemy in Korea on July 14, 1953. Second Lieutenant Fano was awarded the Purple Heart posthumously.